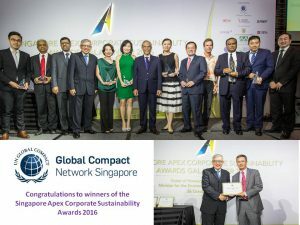 Global Compact Network Singapore (GCNS) is go-to agency for Singapore-based companies that want to deepen and widen their understanding and implementation of CSR and corporate sustainability practices. 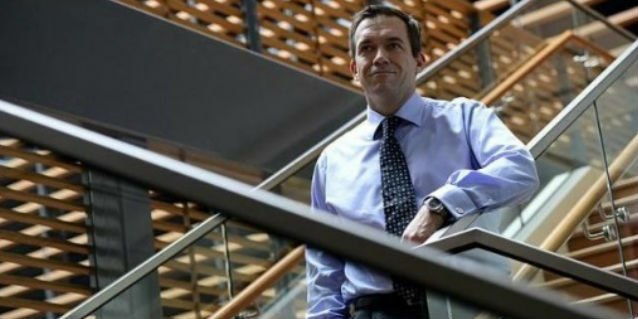 As a signatory to the Principles of the UN Global Compact and a company committed to applying responsible and best-practice sustainable forestry management across every aspect of its operations, APRIL is a Gold Member of GCNS. 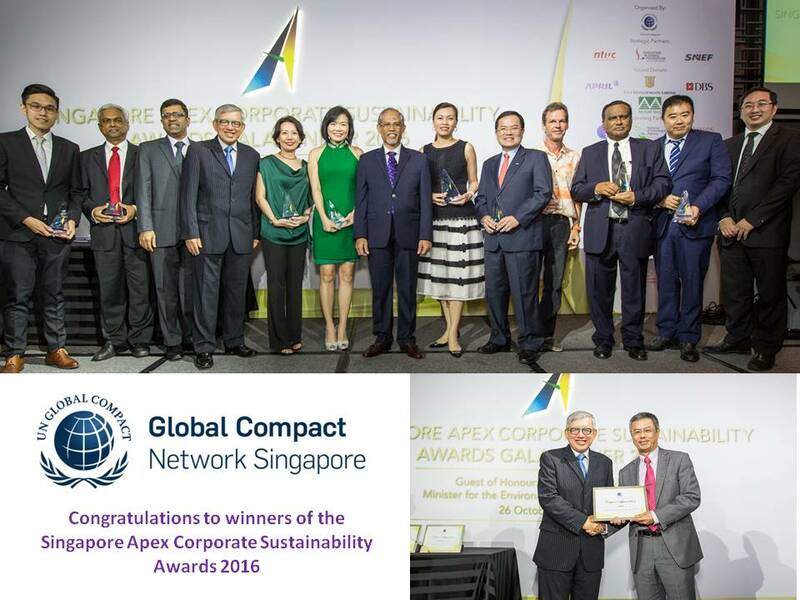 At the recent Singapore Apex Corporate Sustainability Awards Gala Dinner 2016, APRIL was recognised as a valued donor to GCNS. 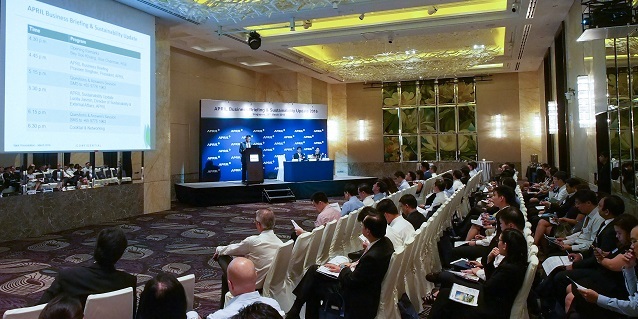 Receiving the token of appreciation on behalf of APRIL was its Chairman, Mr Bey Soo Khiang. 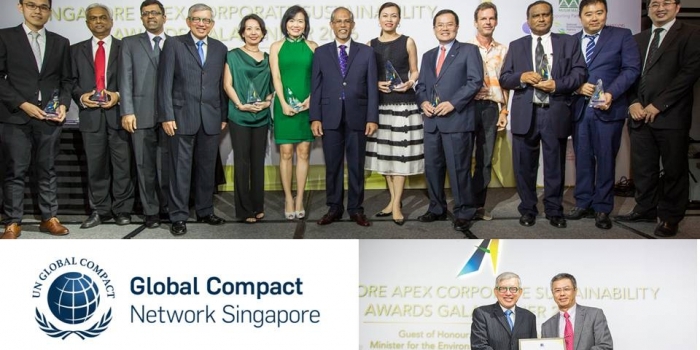 Hearty congrats to the winners of the Singapore Apex Corporate Sustainability Awards 2016. Pictured at the top are the winners with Mr Masagos Zulkifli bin Masagos Mohamad, Minister for the Environment and Water Resources. 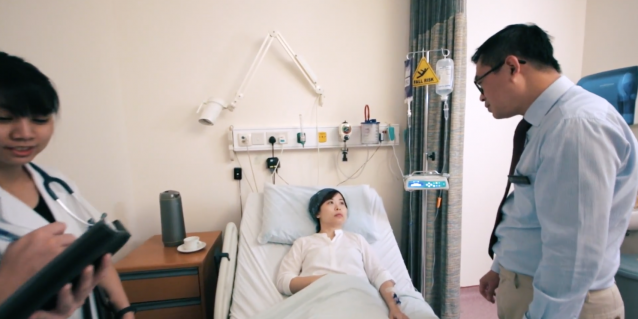 On the bottom right is Mr Bey Soo Khiang, APRIL Chairman, receiving a token of appreciation from GCNS Vice President Mr Ho Meng Kit.